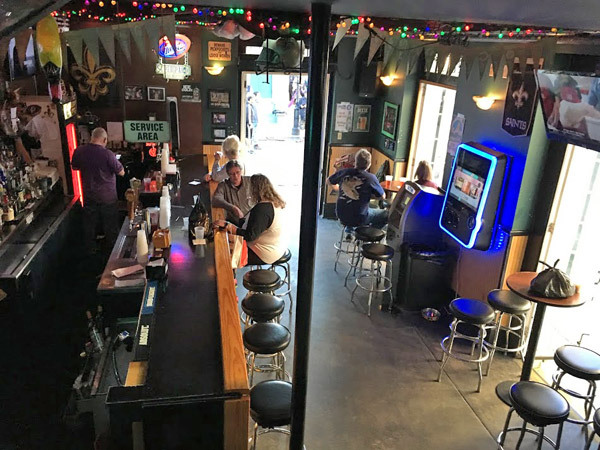 Scooter’s 1230th bar, first visited in 2018. 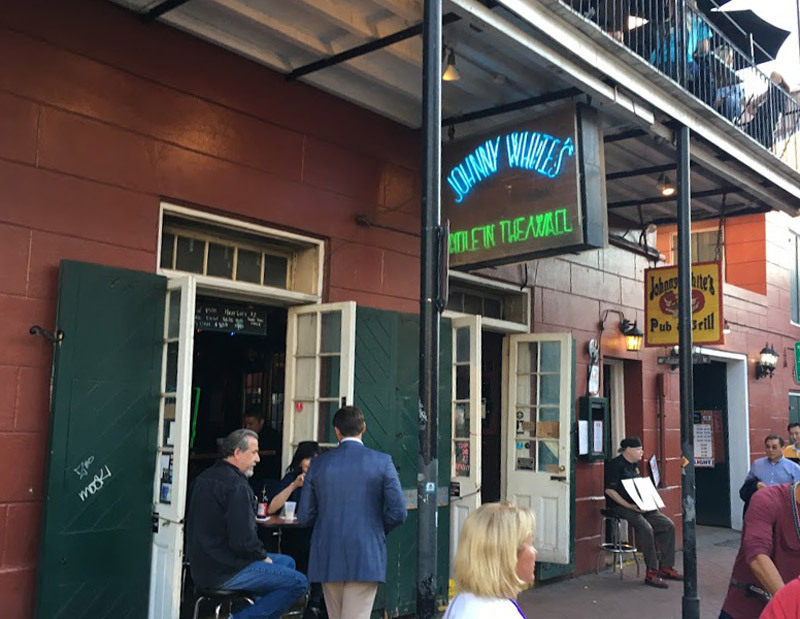 After we split off from the rest of the group that had kids with them, we had time for exactly one Bourbon Street joint before we would need to head back to our car. We wealked a few blocks perusing our options, and were drawn here. 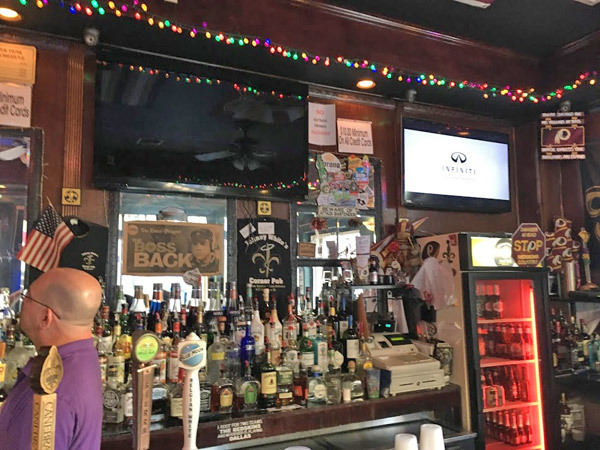 Associated with Johnny White’s Hole In The Wall and Johnny White’s Pub and Grill (all in the same building), this was the perfect find for us. This is a tiny little dive bar right on the corner. You can reach the restaurant from inside via a door at the top of a staircase, but (at least at the time we visited) you could not order directly from the bar. It seems to be a bit of a locals hangout (at least during the day) based on the conversation we had with one of the regulars. I had a Blonde by NOLA Brewing.